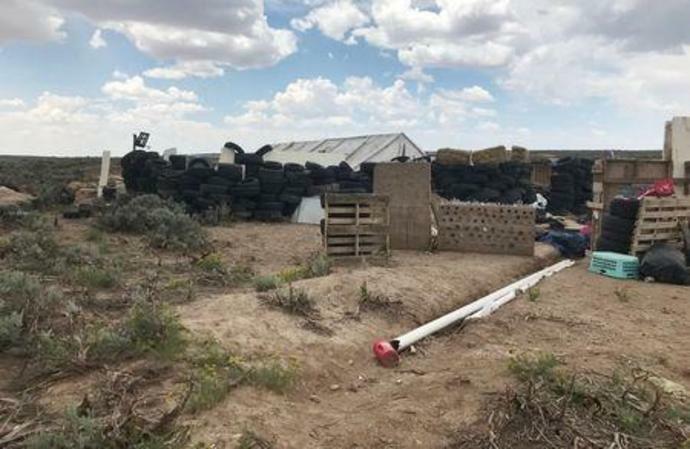 TAOS, N.M. (Reuters) - A Haitian woman who was charged with child abuse at a New Mexico compound has been taken into custody by immigration authorities after living in the United States illegally for over 20 years, federal officials said on Wednesday. The immigration proceeding, which could lead to Leveille's deportation, follows a raid on the compound Aug. 3 in which police said they found 11 children living in dirty conditions with no food or water. Three days later, police unearthed the body of a toddler at the ramshackle settlement north of Taos. "Leveille has been unlawfully present in the U.S. for more than 20 years after overstaying the validity of her non-immigrant visitor visa," an ICE statement said. Kelly Golightley, Leveille's lawyer, declined comment. The body found at the compound is believed to be that of Ibn Wahhaj's severely ill 3-year-old son, Abdul-Ghani Wahhaj. Ibn Wahhaj is accused of abducting the boy from a second wife in Georgia in December. Prosecutors allege the boy later died as Ibn Wahhaj carried out a faith-healing ritual on him at the compound. Lawyers for the five defendants say they are being discriminated against because they are black Muslims who practiced faith healing and taught their children how to shoot. Neighbors and relatives dispute allegations the children were starving. A district judge received death threats on Tuesday after she granted bail to the defendants.